Choosing a country to invest or buy property in is a very personal decision, one which is or can be a very time consuming endeavor. But before crunching numbers or analyzing data one has to have an overview of the countries' basic economic and political standing as well as its national identity. 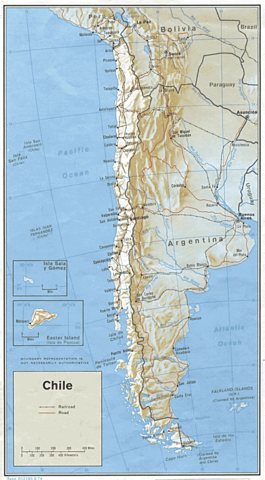 Therefore to help the reader along we have composed this overview about Chile below touching on major points needed in getting to know the country. In this way you will be able to take the first steps to begin to answer the question for yourself. Why Chile? Stretching from the tropics almost to the Antarctic, Chile occupies a ribbon of land that extends down the Pacific coast of South America. Rising from sea level through the Andes Mountains reaching some of the highest peaks in the Western Hemisphere, the country is well known for its diverse geographical beauty and rich natural resources. The country's small economy is quite stable, unlike those of its many neighbors in Latin America. Growth is largely driven by exports derived from the country's rich mineral resources. These many minerals include lithium, rhenium, molybdenum and limestone being best known for its copper dominating much of the world's output. The country also has a large agricultural segment, especially focused on grapes for wine making in addition to the management of forestry's for products such as wood pulp for the paper sector. There are fisheries producing quantities of salmon as well as some pockets of industry. Chile today is one of South America's most stable and prosperous countries. It leads other Latin nations in rankings of competitiveness, economic opportunity, human development, income per capita, low perception of corruption and outlook on peace. It also ranks high regionally in democratic development and sustainability of the state. 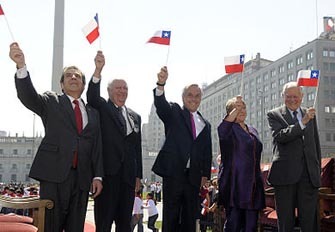 Chile holds memberships in many regional organizations such as (UNASUR) the Union of South American Nations, (MERCOSUR) Market Community of the South, (CELAC) the Community of Latin American & Caribbean States as well as affiliations with multiple international governing assemblies such as the United Nations. One of the hallmarks of an advanced economy is a low level of corruption coupled with a high degree of regulatory transparency and economic freedom. Chile in these respects is in a league of its own in Latin America. Transparency International in its 2015 Corruption Perception Index ranked Chile 23rd globally. 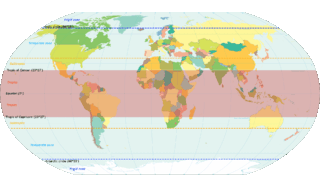 This positioning places it ahead of all of its neighbors in the zone except for Uruguay which was ranked 21st. With such a high standing out of 114 nations it was only seven places behind the U.S. This ranking places it in the same territory as some of the world's most advanced economies, as you can see from the map below with sections of yellow. Chile is a democratic republic with constitutional principles which guarantees the full exercise of both individual & political rights. All citizens are subject to these legal precepts, whose intent is to guarantee the normative order, upholding the system and preventing the arbitrary use of public power. As a civil law jurisdiction, the ruling structure is mainly governed through use of codes written by legal scholars from their various fields (civil, labor, criminal, etcetera). This type of structure is historically provided via Roman roots but also borrows from the systems of France, Spain and Germany. Chilean codes use systematic and authoritative general principles of law and then cases are solved by the interpretation of those principles. This is opposed to many Western countries for example Britain and the United States. In these places the formulations are primarily case-based and work from facts of particular cases to then devise principals of law. In this manner the facts are supreme, developing ad-hoc, the outcome being a hierarchical ordering of analogical reasoning (juridical precedent) dominating the thought process. In the common law legal systems precedent and principles developed through cases are a major source of law but in civil law jurisdictions case law is not a significant source of law and carries limited authority, relying rather on comprehensive legal codes (codified statutes / written laws). As stated above, civil law has its origins in the written law and institutions of Rome. The Chilean code was developed by self-taught jurist Andres Bello (migrant from Venezuela) in 1829 with the codification process beginning in the mid-19th century. The system instituted was seen as significant and impressed many other countries in the region. As such it was adopted with only minor amendment by Colombia and Ecuador, and also served as a model for the civil codes of Argentina, Paraguay, Venezuela, El Salvador and Nicaragua. It remains viewed as one of the most advanced and influential legal works among the Spanish-speaking countries of Latin America. A clear separation of state functions exists, between the President of the Republic, Congress, Judiciary and Constitutional Court. 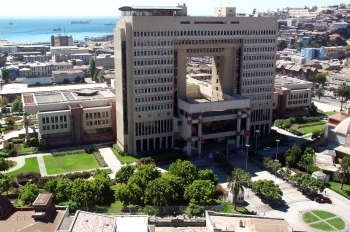 Chile's judiciary is independent and includes a court of appeals, a system of military courts, a constitutional tribunal, and a Supreme Court. Operating under a unitary form of government, there are 15 Regions which are separated into 54 Provinces. These Provinces are further divided into 346 Communes. Each of the 3 layers (Region, Province, Commune) is headed by an administrator. The Region being the largest and primary unit of division is overseen by an Intendant (Intendente) whom is appointed by the president but also has an indirectly elected body known as the Regional Board (Consejo Regional) to assist him. The Province or second level administrator is known as the Province Governor (Gobernador). The final or third and lowest level of government is the division referred to as the Commune (Comunas), which can be a combination of a city, large towns, villages and outlying rural communities dependant on the locale. These assemblies are grouped under the governance of a local Municipality for their administration. Since its return to democracy in 1990, after 17 years under military rule Chile has become an active participant in the international political arena. It completed a 2-year non-permanent position on the UN (United Nations) Security Council, served on the International Atomic Energy Agency (IAEA) Board of Governors and on the Commission for the State of Women. It also participates in the OECD (Organization for Economic Co-operation and Development). The Chilean Government has diplomatic relations with most countries. The country's Ministry of Foreign Affairs publishes their foreign affairs policy overview, as respect for international law, human rights, promotion of democracy and responsibility to cooperate. The Chilean Government has diplomatic relations with many countries as demonstrated on the following map. A system based on free market principals & the building of international relationships. According to the Ministry of Foreign Affairs division of the General Directorate for International Economic Relations the country has 8 major points in their mission; with the principal aim being to implement and coordinate government policy regarding Chile's relations with other countries. This brings us to highlight the collaboration on the country's export developments, participation in working groups, bilateral & multilateral negotiations as well as the organization of applicable international commissions abroad actively promoting the visit of foreign trade ministers and other emissaries. Chile's major trade is based on the export of minerals, which accounts for about half of the total value of exports. Copper is the nation's most valuable resource, and Chile is the world's largest producer of it. Agriculture is a major occupation which accounts for more than 6% of the national wealth. 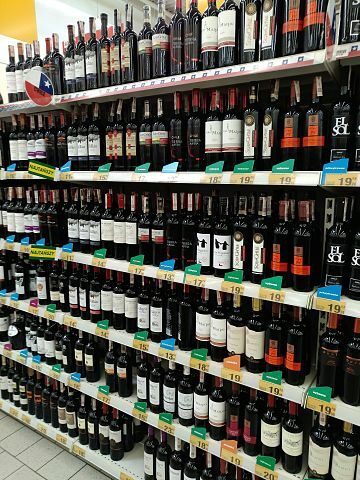 The Central Valley is the country's primary agricultural base; its grape vineyards are the foundation of Chile's wine industry. But apples, pears, onions, wheat, corn, oats, peaches, garlic, asparagus, as well as beans are other chief crops grown throughout the nation. Chief trading partners are the United States, China, Brazil, Argentina, and South Korea. In recent years, Chile has emerged as one of the most important stakeholders in the worldwide food industry (currently 17th) they are anticipating to be among the top 10 exporters in this sector by 2020. Additionally, it hopes to establish itself as one of the few countries where its food sector has a high percentage (more than 10% of GDP) of the economy, modeling itself after countries such as Belgium and New Zealand. All of these achievements are due to the commitment of the Chilean public and private sectors that have managed to position the country as a reliable supplier of clean and safe food that meets the stringent standards required by international markets. In addition, the nation stands out as the largest exporter of grapes, blueberries, dried apples, plums, prunes, trout and Pacific salmon. It is the second largest supplier of fresh cherries, avocados, frozen raspberries, walnuts and Atlantic salmon. Besides having gained recognition for producing wines and Pisco brandy, other products such mineral water and olive oil are becoming part of the wider array of diverse products being developed and promoted. Livestock production includes beef and poultry with sheep raising entering into the mix. Fishing, aquaculture and lumbering are also important economic activities. The nation's main imports are petroleum, petroleum products, natural gas, chemicals, electrical & telecommunications equipment, vehicles and industrial machinery. A spin off of Manhattan (“Sanhattan”) is the nickname for the financial district in Santiago de Chile. 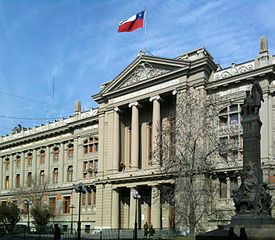 The Central Bank (Banco Central de Chile) in Santiago serves as the central banking institution for the country. The currency is the Chilean peso (CLP) which uses the $ dollar sign to mark its currency, often creating a great deal of confusion for the uninitiated foreigner not accustomed to this habit. Banks appear to be as of this writing liquid and well capitalized. Foreign individual's access to banking products is limited to investors, companies and permanent residents. Since access to banking is a privilege and not a right, requirements are determined by the discretion of each bank and its internal policies. Chilean banks traditionally have been very risk averse thus making it difficult for new immigrants to enter the system to obtain checking accounts and other services. In general, a credit rating is used by sovereign wealth funds, pension funds and other investors to gauge the credit worthiness of each country thus having a significant impact on its borrowing costs. Standard & Poor's credit rating for Chile stands at AA- (2017) with a negative outlook. Moody's credit rating for Chile was last set at Aa3 with a stable outlook. Fitch's credit rating for Chile was last reported at A+ with a negative outlook. Chile unfortunately is set to lose its crown as the only net creditor in the all of the Americas. Therefore as of 2016 it proposed the most austere budget in 14 years. Due to slumping copper prices and the Bachelet administration's increased spending on education and health services these needs have pushed up debt at a time when the economy is enduring its third year of sluggish growth. Valdes (Minister of Finances) response has been to crimp spending as a precautionary step so that he could maintain the country's credit rating (the highest in Latin America at AA-). He'll need to continue that effort for more than one year if he wants to safeguard Chile's reputation for fiscal prudence, said economist Felipe Alarcon. "The scenario is neutral, not good, but not horrible,” Alarcon said. Nonetheless Chile still remains a poster child for sound financial management when compared to the debt classifications of the major developed countries (see chart above). With Japan at well over 200%, the United States at just over 100% and the United Kingdom at just fewer than 90% of debt to GDP Chile still looks quite impressive with any number under 20% (17.5 percent in 2017). Due to the country's unusual topography a functioning transport network is vital to its economy. Buses have been traditionally and remain the major means of long distance transportation in Chile for the average person, following the decline of its railway network some years back. The bus system covers the entire country, from Arica to Santiago (a 30-hour journey) and from Santiago to Punta Arenas (about 40 hours, with a change at Osorno). 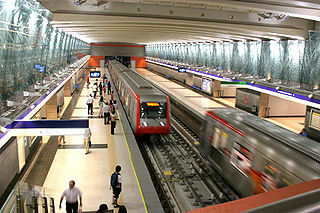 There is a clean, modern, efficient subway metro, linked into the city bus system in the capital of Santiago. The Pan-American Highway runs through almost all the entire country north to south, which is also the main corridor for freight transport. Chile has a total of 372 runways (more than 90 paved and approximately 282 unpaved). The capital's airport (Aeropuerto Internacional Comodoro Arturo Merino Benítez) is owned by the Chilean government and has been operated since October 2015 by Nuevo Pudahuel, a consortium of companies formed by Aéroports de Paris (France), Astaldi (Italy) and Vinci also of (France). Air traffic control is handled by the countries' (Directorate General) of Civil Aviation. There is at least one airport in every major region of the country and international flights pour in and out of Santiago clocking over 17,300,000 passengers per year (according to 2013 statistics). Santiago is the headquarters of Latin America's largest airline holding company and the Chilean flag carrier LAN Airlines (now merged with Brazilian TAM; and doing business as LATAM). As of 2012, just over 66 % of the Chilean population (over 15 years of age) claimed to be Catholic, down from 70% (2002 census). 17 percent reported to be affiliated with an “evangelical” (non-Catholic Christian) church. Irreligious people, atheists, and agnostics were accounted for around 12 percent of the population. A (not extensive) list of Christian churches in the country are as follows, Orthodox Church (Greek, Persian, Serbian, Ukrainian, and Armenian), The Church of Jesus Christ of Latter-day Saints (Mormons), Seventh-day Adventists, and Jehovah's Witnesses, Pentecostal, Wesleyan, Lutheran, Reformed Evangelical, Presbyterian, Anglican, Episcopalian, Baptist and Methodist churches, Jewish synagogues and worshipers of the Bahá'í Faith are also present. Buddism and Hinduism figures are included in the category of "Other" and with Muslims representing just 0.02 percent of the population. Currently in 2015, the majority religion in Chile is Christianity (68%), with an estimated 55% of Chileans belonging to the Catholic Church, 13% Protestant or Evangelical and just 7% with other religious beliefs. The Spanish spoken in Chile is distinctively accented and quite unlike that of neighboring South American countries because final syllables and "s" sounds are often dropped, and some consonants have a soft pronunciation. Nonetheless the accent varies mildly from north to south; more noticeable are the differences in accent based on social class or whether one lives in the city versus the countryside. Learning a second or new language is not an easy task, especially as we get older, our time is limited or we are preoccupied with ongoing family and/or business matters. Nonetheless, Spanish is a key language to learn since it is the de facto or official language of 22 countries, used by more than 440 million people daily. On the language difficulty scale Spanish is generally catalogued as a Category 1 Language (most cognate with English). By example, Dutch, Afrikaans (variant of Dutch), Spanish, and Italian all belong to category one. There are 5 levels in total, 1 being the easiest and 5 the most difficult, with languages such as Chinese, Japanese and Korean being several of the ones on the most difficult end of the scale. The FSI (Foreign Service Institute) through the Department of State has compiled approximate learning expectations for a number of major languages. This information is based on the length of time it typically takes to achieve Speaking Level 3 also known as (S3) aka (General Professional Proficiency in Speaking). And so, for an intensive learning program the expectation is 23 to 24 weeks equaling about 600 hours of class time. In addition to that they suggest several hours per day of self-study with review and practice of course materials. Comparatively a Class 5 language such as Chinese would take approximately 4 times more effort to reach the same proficiency goal (88 weeks of study and over 2,200 hours of class time).